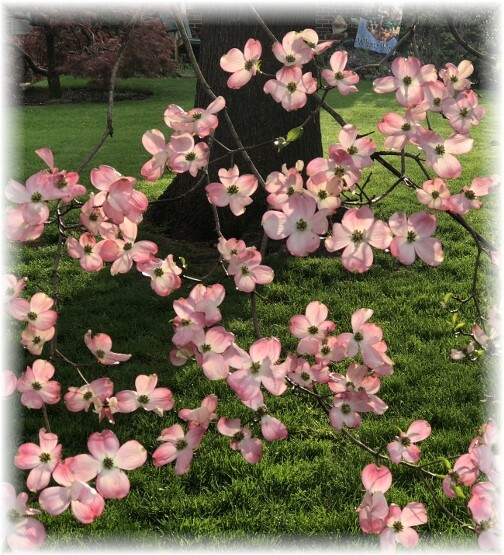 Flowering dogwoods are blooming in our neighborhood including this pink one. Message summary: Ascension Day is one of the great days of the early church. Today let’s be reminded and rejoice at what happened on that glorious day. “After the Lord Jesus had spoken to them, He was taken up into heaven and He sat at the right hand of God” (Mark 16:19). We enjoy a song simply titled “Grandpa”. It begins with this line, “Grandpa, tell me ’bout the good ol’ days”. 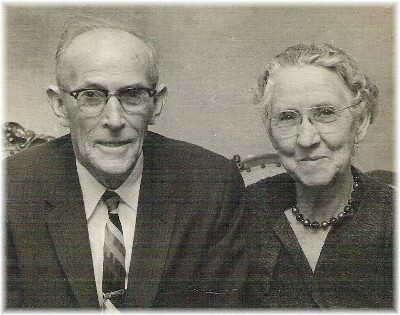 * Do you have memories of your grandma and grandpa and stories they would share. I had a very colorful grandpa who travelled the country on rails in his younger years and who climbed up Pike’s Peak at night. That would have been around the turn of the last century (1900). I only knew him as an old man (70+ years when I was born.) He was physically aging but his mind remained sharp to the end and he had a habit of riding a bike every birthday into his early eighties. 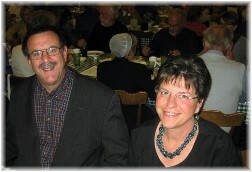 Have you ever considered the stories the disciples shared with their grandchildren? Picture Peter lifting his grandchildren to his lap as he told them, “Let me tell you about the time when Jesus left this world to go back to heaven”. Today is Ascension Day; the great event that took place 40 days after Christ’s resurrection when He left earth and ascended back into heaven! Today the Amish and Mennonite communities in our area close their schools and businesses, have services in the morning, and then make an afternoon of games and visitation. We think that’s a great custom. In fact since our chaplain work will take us through a part of Lancaster County with lots of Amish and Mennonites we will see a lot of horse and buggie traffic in the morning and the large gatherings in the afternoon. If the weather is nice we will most certainly see volleyball games! How many of you recall that today is Ascension Day prior to reading this message? In most of Christendom this day doesn’t have nearly the emphasis as other notable events in our Lord’s earthly life such as His birth (Christmas), death (Good Friday), and resurrection (Easter). But this day is one of the great days of the early church. Today’s text is Mark’s simple straightforward account of the Ascension: “After the Lord Jesus had spoken to them, He was taken up into heaven and He sat at the right hand of God”. That promise is reinforced and expanded upon throughout the New Testament. Paul calls it the “blessed hope”. One day, perhaps soon, perhaps today, there will be another universal WOW day. Let us faithfully serve the Lord, who now sits at the right hand of the Father, until that great day! 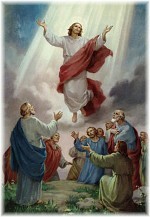 Ascension Day is one of the holy days of the early church. Let’s be reminded and rejoice at what happened that glorious day. Daily prayer: Jesus, Your physical life on earth is so important for all to see and comprehend God in the flesh. We have a picture of the Father through the life of the Son. You also came to bring salvation to Your creation, willingly leaving the splendor of Your home in heaven to change the course of history and to redeem the fallen sinful race. Your ascension into heaven serves as a reminder that You completed Your mission on earth and are now at the right hand of the Father ever interceding for us, Your children. One day we will see You come in the same way You left, but on that day You will take us with You to spend eternity in the home that You have prepared for us to take up eternal residency. Help us to be faithful and eager for the blessed hope of Your second coming. In Your name, Jesus, we pray. Amen. 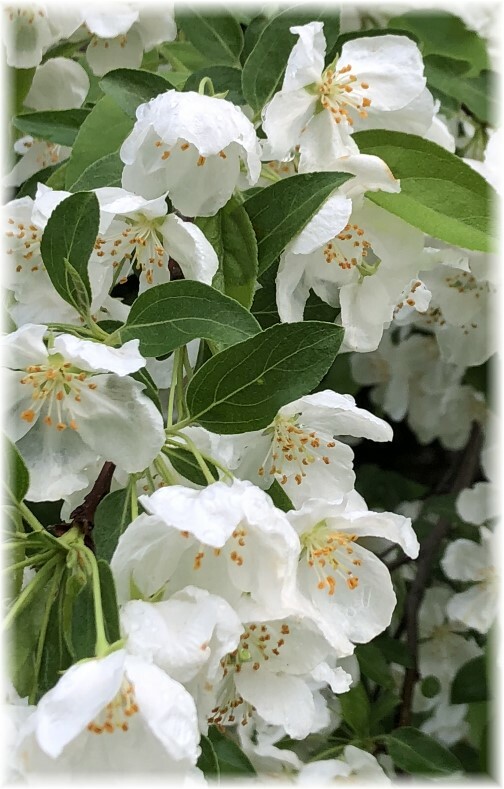 Another one of the many flowering trees we see in our neighborhood. Grandpa, tell me ’bout the good ol’ days. Sometimes it feels like this world’s gone crazy.